Two years ago, I was doing reading intervention half time. For 90 minutes every afternoon, I met with a group of fourth and fifth graders who were reading at a second grade reading level. Two of the eight were English Language Learners. One little guy we later found out was living with his mom and little sister in their car most of the year. One of the girls was living with her mom and four younger siblings-- her dad was in jail. Another guy was a gentle giant, one of those kids who I know I will see on Monday Night Football some day, but also a kid whose sweet sensitive spirit had some how gotten overlooked in favor of his athletic prowess. And then there were the random children that arrived at our school for a couple of weeks or a couple of months, and then moved on, often without any notice at all. If you were to ask me about a group I would always remember, it would be that group of kids. The reason being- they reminded me of the power of a great read aloud. The first book I read to them was Barbara O'Connor's HOW TO STEAL A DOG (which, by the the way, is one of my all time favorite read alouds, and a book I have read to two other groups and am about to start for the third time tomorrow). Given that I hardly ever use a novel as a read aloud more than once- that's huge!). That book became the cornerstone of our reading life and of our reading community for the entire year. HOW TO STEAL A DOG was the measuring stick by which we measured all other books, "That was good," the kids would say, "but not as good as HOW TO STEAL A DOG." I turned to HOW TO STEAL A DOG every time I needed to teach a mini-lesson. The children used HOW TO STEAL A DOG as a lens into each other's lives. "You have to be nice to B," said M, a girl who was recognized as one of the biggest bullies on the playground. "Remember HOW TO STEAL A DOG? You don't know what someone else might be going through." HOW TO STEAL A DOG became that scarlet thread that bound the kids together as readers and as human beings. This year, I'm working with an entire class of fourth graders. And I have to say, in over a quarter of a century of teaching, it is one of the toughest groups I have ever had. Almost thirty kids. Seven reading at a first grade level. Another five reading at least a year below grade level. Five that speak more Spanish than English. A mean girl group that rivals any I have ever seen. 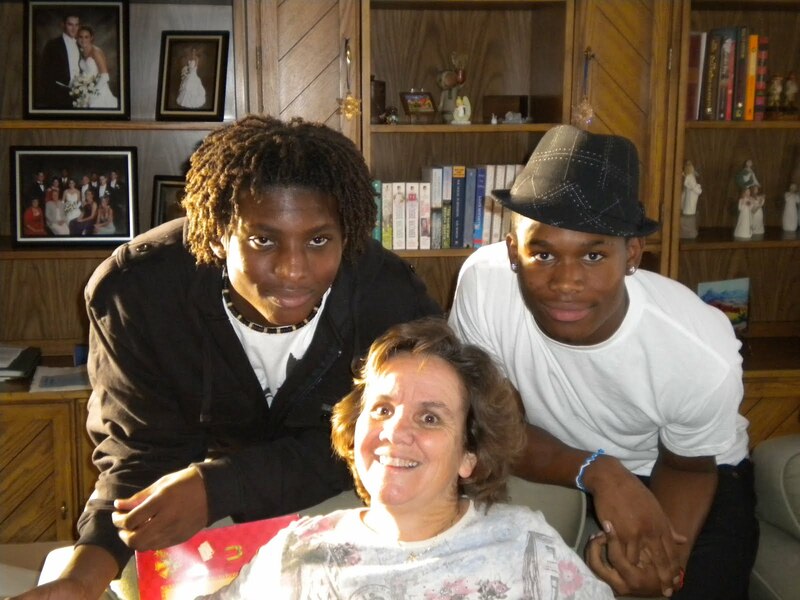 Three kids in foster care. A child whose fifteen-year-old mom's in utero drug and alcohol use has led to severe cognitive issues. Several others living with random relatives. It's a tough, tough group, kids with life stories that take my breath away on pretty much a daily basis. I have taught a long time and have a few tricks in my bag. Usually I can figure out something to tame even the most savage of beasts, but the first month that I worked with these kids was really, really hard. Every time I tried to do a minilesson, or have a writing conference, or engage the kids in independent reading, chaos erupted. They wiggled and squirmed and fought with each other. They stole each other's pencils and chips and book bags. They harrassed and bullied and were unkind to each other. Over Christmas, I thought about the fourth graders. About how mean they were to each other. About how hard they were to teach. About how far they had to go. About what we were not accomplishing. And I realized that the one thing that I had not done with this group was to read aloud much. In my rush to maximize my 90 minutes of teaching, I hadn't helped them to become a community of readers, or to learn to care for each other. Overwhelmed by their academic and emotional needs, I had forgotten the power of a good book. And so that first day after Winter Break, we started again. I sat down in my chair in the meeting area. I opened up THE FANTASTIC SECRET OF OWEN JESTER. And I read to them. I read away the hardness of their lives. And read them into a world where a kid could make a hard choice to say goodbye to a beloved pet. And have a big adventure. And stand up to mean friends. Things didn't change all at once. That first day, the kids complained about sitting on the floor. Some of them didn't listen, or at least didn't appear to be listening. They wiggled and squirmed and poked at each other. I had to do teacher stink eye pretty much every time I turned a page. But I kept reading. And somehow, over the course of 150 pages, this group is becoming a community. They come to the floor without protest. They press against my knees, gently stroking my legs as I read. They are quiet and focused. After every chapter, they beg me to read, just a little more, just a few more minutes. They are attempting to incorporate some of Barbara O'Connor's techniques into their own writing. They stop by my office to ask for other books by Barbara O'Connor. They are becoming better readers. And more caring human beings. 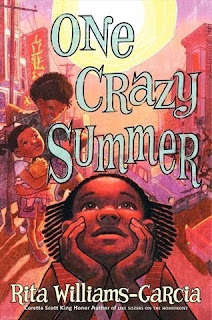 OK, so I really do know that almost everyone in the Kidlitosphere world has already read ONE CRAZY SUMMER. People already know it's the story of Delphine, Vonetta, and Fern, three girls who were abandoned by their mother when they were very young. Now, seven years later, the girls are being sent cross country, from New Jersey, where they live with their father and grandmother, to California, to become reacquainted with their mother. Their mother, Cecile, however, is less than pleased about the trip. She is a poet, deeply involved with the Black Panthers, and doesn't really want to be disturbed by her daughters. 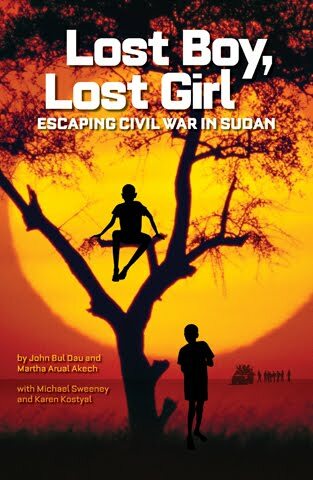 Each morning, she sends the girls out the door to a day camp run by the Black Panthers. P.S. I also know that almost everyone else in the world has had a Kindle, or a Nook, or some other e-reader for a while. BUT, I didn't have one, and my mom bought me a Kindle for an early Valentine's present, and I love it. Way, way fun! Brownie Groundhog steps outside on February 2nd, hoping to see a few signs of Spring. Unfortunately, all she sees is her shadow, and a small red fox, who is determined to eat her for breakfast. 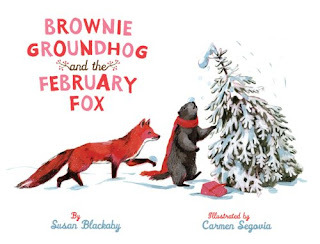 "Don't be silly," says Brownie, after the fox knocks her down and sends her basket flying. "You're too late for breakfast. You'll have to wait for lunch." And so the two head out for a morning of adventure, which includes gliding and twirling and swirling and looping and swooping across a frozen pond. A fun friendship book with a main character who is sassy and just a little bit bossy! Perfect for sharing with primary grade kids for Groundhog's Day next week! No time to read poetry. No time to find or take beautiful pictures to go with the poetry. No time to stop and stare. Just 4.4 second to throw a poem on the blog for Poetry Friday, then run off to the next thing. Tara is hosting Poetry Friday here. Poetry Friday is hosted by Laura Salas at Writing the World for Kids. I read it! I actually read it!For the first time ever, I think, I had read the Newbery winner! And even blogged about it! See-- right here! “Moon over Manifest,” written by Clare Vanderpool, is the 2011 Newbery Medal winner. 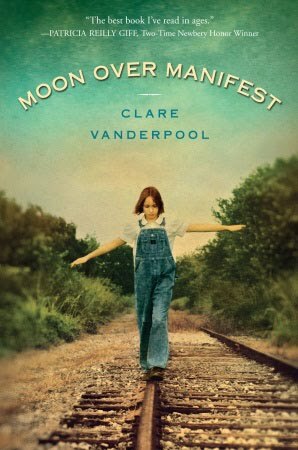 I loved everything about MOON OVER MANIFEST- the story, the characters, the way the book was crafted. I had not, however, seen it mentioned anywhere as a Newbery contender and never occurred to me to suggest it myself. I have read all three of the Caldecott/Caldecott Honor books. “Dave the Potter: Artist, Poet, Slave,” illustrated by Bryan Collier- This was nominated for the CYBILS nonfiction picture books category, so I read it last month. I thought it was a beautiful book, but wasn't sure about the "kid appeal." “Interrupting Chicken,” written and illustrated by David Ezra Stein- Every year, I buy myself one new picture (OK, sometimes a few more than that) to start the school year. INTERRUPTING CHICKEN was the book I bought this year. I love it! “One Crazy Summer,” written by Rita Williams-Garcia- I have been trying to get this one in the library for a couple of months now, I may have to go buy it myself. “Yummy: The Last Days of a Southside Shorty,” written by G. Neri- I loved this one. I took it to school and it has been making the rounds of sixth grade. The kids love it too, and I have serious doubts as to whether I will ever see it again. “Seeds of Change,” illustrated by Sonia Lynn Sadler- This was another book we read for the CYBILS. The illustrations are gorgeous. Schneider Family Book Award for books that embody an artistic expression of the disability experience. I haven't read any of these. “Five Flavors of Dumb,” written by Antony John- I have heard lots about this one. I want to read it. Pura Belpré (Author) Award honoring a Latino writer whose children’s books best portray, affirm and celebrate the Latino cultural experience. I haven't read any of these yet. “Lafayette and the American Revolution,” written by Russell Freedman and published by Holiday House. “Ling & Ting: Not Exactly the Same!” written and illustrated by Grace Lin- I have read this one, but I didn't blog about it. “We Are in a Book!” written and illustrated by Mo Willems- I love, love, love, love this series. THERE IS A BIRD ON MY HEAD is still my favorite though. “The Freak Observer,” written by Blythe Woolston (I want to read this. Blythe is a Poetry Friday contributor and I have looked at this book several times on her website. It looks great. “Janis Joplin: Rise Up Singing,” written by Ann Angel, is the 2011 Excellence winner. A couple of months ago, Son #1 had to do a project on an artist from the Harlem Renaissance. I thought I knew quite a few poets, but when he got the name out of his backpack, it was Sterling Brown, a poet who was new to me. As we got further into the project (and yes, this project was a "we" project-- and please don't send me any notes about parents who do projects for/with their kids because I am a teacher and I already know all of that stuff, but there is just something about slapping two pictures on a piece of posterboard that brings fuzz to my teeth! ), I wondered why I had never heard of Sterling Brown. He was one of the first poets to publish in the black "vernacular." He was a professor at Howard University for 40 years. When he retired, some people wanted to rename the university after him. He is considered one of the founders of African American studies programs at the university level. He wrote books and essays and literary criticism. At one point in "our" research, I said, "Holy cow, Zay you got a rock star." "You mean like Lil' Wayne?" he replied. Reading about Sterling Brown, I wonder why I was never asked to read his work in high school or college. He really was a rock star in the literary world. His poetry is mean and gritty and true to life. Maybe some of you are like I was, and had never heard of Sterling A. Brown either. But we should have. We certainly should have. Poetry Friday is at Live! Love! Explore! Thanks for hosting Irene! One of the hardest things about changing schools is having to change reading buddies. I miss my old friends- the people who would stop by my room or office with a book in hand. I'm starting, though, to develop new reading friends. 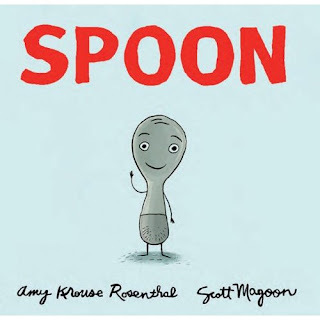 This week, one of my new reading friends brought me SPOON, a book by Amy Krouse Rosenthal, an author I really love. 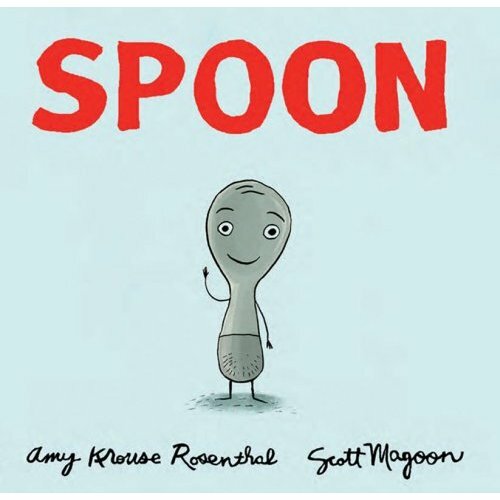 SPOON is the story of a little spoon, who lives in the silverware drawer with his mama and daddy. One day he decides he is not happy being a spoon, he would rather be a knife, or a fork, or a pair of chopsticks. His mama and his friends, knife, fork, and chopsticks remind him that everyone has their own unique and special talents. A sweet little book, with lots of clever word play, perfect for a beginning of the year "Me Unit." Over Christmas break, I read Pat Conroy's MY READING LIFE. I checked it out from the library, but I think it is one I am going to have to own. It is a book that is meant to be savored- read, reread, underlined, dogeared, copied, quoted. I grew up a word haunted boy. I felt words inside me and stored them wondrous as pearls. I mouthed them and fingered them and rolled them around on my tongue. 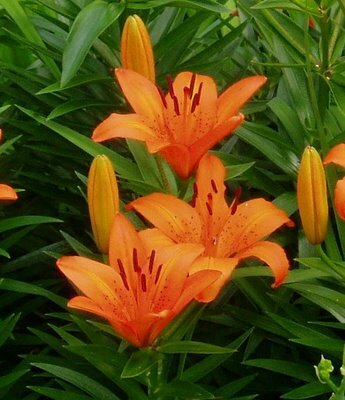 My mother filled my bedtime hour with poetry that rang like Sanctus bells as she praised the ineffable loveliness of the English language with her Georgia-scented voice. I found that hive of words beautiful beyond all conveyance. They clung to me and blistered my skin and made me happy to be alive in the land of crape myrtle, spot-tailed bass and eastern diamond backs. The precise naming of things served as my entryway into art. The whole world could be sounded out. I could arrange the whole world into a tear sheet of music composed of words as pretty as flutes or the tail feathers of peacocks. I envied the way they (poets) could make language smoke and burn and give off a bright light of sanctuary. The great ones could fill what was empty in me. In the vast repository of language, the poets never shout at you when you pass them by. Theirs is a seductive, meditative art. They hand you a file to cut your way out from any seductive prison of misrule. Over Christmas break, Donalyn Miller and other "Twitter Friends" organized #bookaday- the goal literally was to read a book a day. Don't know that I reached that goal, but I did read a lot. 15) And I reread and reread and reread about twenty of the CYBILS picture books in preparation for the panel's selection of semifinalists. 1) Reading is about community, about connections, relationships, talking about books, sharing titles, saying, "I loved that too." I loved getting to do all of this reading, catching up on my novels, reading a few books that people think might win the Newbery, etc. But what I loved even more was "talking" to folks about books. I "met" so, so, so many nice people on line through "bookaday." And had so many great conversations. And added so many great books to my TBR pile. I also loved my face to face conversations with my book club, who has been together for fifteen years, now, and sharing coffee with The Boy Reader (who so should try Twitter but so far hasn't) and talking about books with my good friend, Patrick (coloreader). 3) You don't always have to read books "at your level" whatever that means. I have a Ph.D in reading and writing instruction. I read a lot. Growing up, I was always an "Eagle" never a dodo bird. That means that I should be able to read pretty hard books, right? But you know what? I don't always want to read hard books. I don't usually want to read hard books. I would much rather read three shorter middle grade novels than one really long one. Or some days I just want to go to Tattered Cover and sit and read picture books for an hour (or two or three). And that's fine. Why then, for Pete's sake, do we insist on kids reading books "at their level" (whatever that means) all the time, or even most of the time? The best reader in the sixth grade, who could probably easily read and understand THE BOOK THIEF should be allowed to read ORIGAMI YODA or any other book she wants. And the worst reader in the class, the kid who struggles and struggles and struggles to make sense of print, should be allowed to read ORIGAMI YODA too. No one should be telling anyone what they can or can't read. "Level," whatever that means, is about a whole lot more than how many words are on a page, or how many mistakes a reader makes while they read those words. Sometimes "level" is simply about interest or being part of the reading club in your classroom. 3) I didn't make dioramas or take tests on anything I read. I didn't even keep very good track. Lots of people have written about that whole take a test or do a project approach to reading, so I'm not going to. I am also not going to write about the benefits on an online record keeping system, e.g. Goodreads. Lots of people in #bookaday keep track of what they have read through this system. I tried that over break, but I seriously doubt that I will continue. It just adds one more layer that I don't want or need to my reading. I did blog, on some of the books. I started the blog three years ago, because I wanted to learn to do something new. I'm really thinking about its purpose now, however. I like blogging, but more than the actual writing about the books, I love the connections I have made with other people (that community thing again). And lots of the books I blog about are books other people have already blogged about. And I only have 19 followers. So maybe I don't need to blog. Or maybe I need to figure out something new and different to blog about. 4) The more complicated we make the program and record keeping, the less actual reading gets done. I read. I blog. Then I go on Goodreads and I'm supposed to make another comment. "What a minute!" I think. Didn't I already say something like this on my blog. Yeah, I did, but because I am a little compulsive about a few things, e.g. reading (not housework) I say the same stuff again. And pretty soon I have eaten up fifteen minutes that I could have been reading (or cleaning). 5) It's ok to nibble a book a little at a time. There are some books, e.g. ORIGAMI YODA that I gobbled at one sitting. There are other books, however, that took me much longer. Pat Conroy's MY READING LIFE, for example, really isn't meant to be gobbled. Nor is it meant to be read at 2 am on New Year's Eve when I was waiting for my son to get home from his girlfriend's house. MY READING LIFE is rich and beautifully crafted and full of gems I wanted to remember. I wanted to stop and write them down and think about them (I checked the book out from the library, otherwise I would have been writing all over it). I will probably end up buying this book. And reading, and rereading, and rereading. And that's ok. Some books are meant to be nibbled, a little at a time. 6) Certain books are meant for certain times in a reader's life. THE BOOK THIEF is deep and dark and complex. I have wanted to read it for a long time, and when a colleague gave it to me I was thrilled. It was the first book on my TBR stack. I didn't finish it this break however. 2010 was a hard, hard, hard year for me. I also have a hard time with winter, when it's cold outside, and when the darkness comes so early. I wasn't up for reading THE BOOK THIEF. I will probably finish it, but I'm not sure if that will be 15 or 2o pages a night, or if I will wait until this summer, when I am in a better head space, and the world isn't so dark and the earth isn't so cold. 7) When I read more, I think more. And writing comes more easily. I'm not much of a New Year's resolution kind of gal, mostly because I don't see much point, because I never keep them. For the last four years, for example, I have resolved to lose 20 pounds. And walk more. And take my two badly behaved labs to doggie boot camp. The trouble is, I usually don't last too long with resolutions. This morning I was eating Frito Lay scoops at 10:14 am. And it never got above 20 so I didn't go for a walk. And one of my dogs, who shall remain nameless, tore up a Christmas wreath my sister made for me 20 years ago, when I went to answer the phone. I have, however, tried several different variations on the New Year's Resolution theme. One of my good friends says that rather than making resolutions, people should make a list of really concrete things that they want to do that year, e.g. Go see the King Tut Exhibit at the Museum before it leaves on January 9th. And that you should have as many things on the list as you are years old. I have actually tried this a couple of times. And I like it. Or I like it until I lose the list, which usually happens about January 10th. Another group I follow take the "one word" approach to resolutions. With that approach, you choose one word, and focus on that word all year. Some people even make scrapbooks or do special projects related to their word. I actually tried the one word thing last year. I chose the word order. Looking around my house, my car, my desk at work, though, it kind of looks like I chose disorder. So I am not sure that quite worked for me either.